One of the most important and intimidating steps in the job search process is writing a solid resume that gets the attention you want and need. Unfortunately, many job seekers get overwhelmed before they even get started. The result is poorly-written resumes that are built on top of templates that don't do the job seeker any good. Today, resumes must appeal to potential employers while also being optimized for the electronic age. Whether you are handing a resume over in person or are emailing an electronic copy to be added to an online database, the words you use and the formatting you choose will make a big difference in whether or not you get that interview. This course teaches you not just what a resume should look like, but what it should say. It walks you step-by-step through the creation of the most common sections found on resumes in today's job market. In addition to helping you determine what information should be included, it also goes a step further to help you realize what pitfalls to avoid when creating this powerful, job-searching tool. Because employers rely so heavily on the resume, it is important to have one that is well crafted and professional looking. Most job openings are very competitive, so the candidate who is able to present him- or herself in the best light has an advantage. In most cases, you will not be hired based on your resume alone, but it will be instrumental in helping you to be called for an interview. Throughout this course, we will study the various types of resumes in depth, as well as the information that should be included in each. At the basic level, each style is intended to help employers in your field get to know you and your qualifications. In addition, your resume will include your contact information so that you can be reached when an interview is needed. One of the most important tools in a job seeker's arsenal is the resume. Simply put, this document sums up your work and life experience in an extremely brief, easy-to-read format. Prospective employers are able to review the resume to get a sense of the candidate's skills and suitability for the job at hand. Most employers will require you to submit a resume, and often you will need to complete an application and write a cover letter. This course is designed to go in-depth to help you recognize what you should and should not include in a resume. In addition, it will help you to determine the right approach and layout for your field, experience, and desire. It is not a collection of resume templates, as those can be easily found online. Instead, this course will give you the knowledge that is needed to make sure that you are writing the strongest content possible. You will then be able to use or create a resume style that works for you. While it is certainly important to have an attractive resume, you need to focus on what an employer reads after the package has caught his or her eye. This is what is really going to land you the interview. A resume really is a representation of you. It introduces you to the employer when you are not able to sit down with him or her and do it yourself. Just as you would want to look and do your best if you were meeting face-to-face, you will want your resume to look and do its best when representing you. For this reason, it can be difficult to know what to include on a resume. After all, if it is supposed to be a representation of you, then it seems reasonable that you would want it to reflect your personality and talk about your personal life and ambitions, right? In most cases, this is not how you approach resume writing. There are some strict guidelines that are used for this type of document, and if you do not follow them, you can knock yourself out of the running. We will talk more about the Dos and Don'ts later in this course. For now, realize that your resume will need to focus on the most relevant (to the job) aspects of your life. If it is strong enough to get you past the first round, then you will have the opportunity to dazzle the employer with your personality once you get to the interview. In most cases, your resume will create the employer's first impression of you. He or she will make decisions based upon both the content and the presentation of your resume. Your goal, of course, is to make the best first impression possible. You can almost think of it as an advertisement that "sells" the potential employer on the idea of why he or she should consider you for the job. Just like most ads, the "customer" is only going to look at it for a few seconds, so you really need to give them every reason to keep reading and thinking about you. You have an average of about 15-30 seconds to catch their attention. 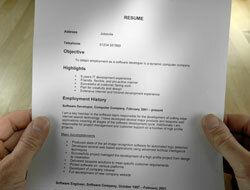 How and Why Are Resumes Used? Two parties will be using your resume. First, you will be using it to convince an employer that you are one of the top candidates for the job. By putting in the time and effort needed, you will be showing the employer that you are a professional, that you have the desire needed to be an excellent employee, and that you are a great fit for the job that he or she is offering. You will show how your experience and background is relevant and why you should be getting a call for an interview. The employer is the second party that will use your resume. He or she uses it to help pre-screen candidates for a job. Rather than taking the time to meet with each individual applicant, the employer can sit down with a stack of resumes and compare the candidates' qualifications. This allows the employer to save a considerable amount of time by discarding those that appear not to be a good fit for the position and only calling the most qualified applicants in for an interview. It may not always seem fair to be judged based on a few facts on a sheet of paper, but employers simply have to have some sort of method for narrowing down the candidate pool. Even if you are someone who does better in person than on paper, you will likely still need to utilize the resume process to be hired for the job that you want. There are methods you can use to make your resume as strong as possible so that it will get you an interview rather than ending up in the office trashcan. We will spend quite a bit of time looking at these methods throughout this course. If you come across ideas that you think are especially useful for you, be sure to jot them down or even print out the course and make notes on the page so that you can remember them when you are actually composing your resume. Define what a resume is and its purpose. Prepare to write your resume. Draft a resume for presentation. Develop the Professional Objective and Education Sections of your resume. Develop the Experience Section of your resume. Develop the Skills Section of your resume. Develop the Honors and Awards Section of your resume. Define the Activities and Interests Section of your resume. Know ways to bolster your resume appropriately. "I really enjoyed it, look forward to doing it again." -- Wayne B. "I thought the most helpful part of the course was how the instructor had the lessons laid out. It was nice and made writing a resume easier the way she split each section of a resume up and had you prepare each section as we went. At the end all you had to do is piece together the sections from the lessons you wanted in your final resume and you had a full functional "professional" style resume to send out to a potential employer...VERY GOOD JOB BY THE INSTRUCTOR!!!!" -- Terry E.
"Thank you very much for the great information. I found it very helpful. It has been 15 years since I did my only resume so I really needed the help. A lot has changed in that amount of time with technology advances." 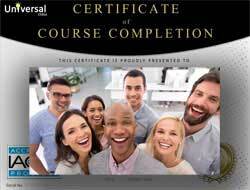 -- Elaine S.
"All parts of the course were helpful - each lesson was broken into a small section that focused on one main point. This was very easy to follow, and each lesson built on the previous lesson....I learned a great deal about the topics covered." -- Lindsey B. "It was very helpful to be able to work step-by-step to complete my resume. Each lesson invited me to really reflect on my past accomplishments and helped me zero-in on my future goals." 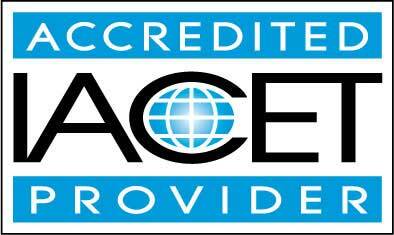 -- Patricia F.
"The lectures held a lot of information that was very helpful. The exam was a back-up to make sure you understood the material." -- Lisa J.